And how they can be enforced. 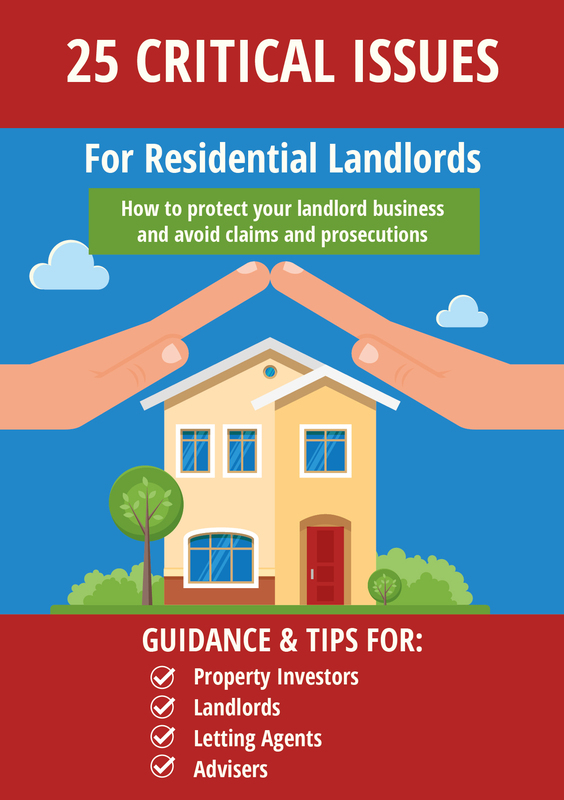 This law sets out the legal obligations landlords have towards tenants as regards keeping the property in repair. 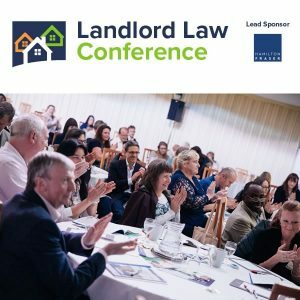 They can’t be excluded by landlords (for example by a clause in their tenancy agreement) unless the landlord has obtained a court order first. 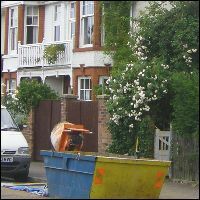 If the landlord fails to comply and the property falls into disrepair, tenants can go to the country court to get an injunction ordering their landlord to do the relevant works to bring the property back into proper repair (in respect of the items set out in the section) and an order for financial compensation. Although tenants should be careful – in many cases this may be inadvisable if the landlord decides to ‘retaliate’ by bringing eviction proceedings under section21. You can see section 11 here. This law sets out a procedure for Local Authority Environmental Health Officers to follow when inspecting a property for fitness, disrepair and health and safety standards. If the inspection finds any ‘category one hazards’ they are obliged to take action against the landlord. Normally this will be by serving an improvement order, which if the landlord fails to comply by bringing the property back into repair, can be enforced via the Magistrates Court (where fines are now unlimited). If the improvement notice is not actioned, this may make landlords vulnerable to an expensive penalty charge notice (which can be for up to £30,000) and Local Authorities or tenants (depending on whether the rent is paid by benefit or not) may be entitled to bring a claim at the First Tier Tribunal for a Rent Repayment Order. Under new rules introduced in the Deregulation Act 2015, landlords (for ASTs created or renewed on or after 1/10/15 and all ASTs after 1/10/18) cannot use section 21 within 6 months of service of an improvement notice and previous section 21 notices will be retrospectively rendered invalid if they were served after their tenants complained about one or more issues covered in the improvement notice. You can see the Housing Act 2004 here. These regulations require all landlords renting properties with gas appliances to have them inspected annually by an installer registered with the Gas Safe Register and provide a certificate to the tenants. The certificate must be given to the tenants before they move in and for all the subsequent checks. Any repair work identified by the inspection must be done by the landlord at the landlord’s expense. The regulations are enforced by the Health and Safety Executive, which is done via the Magistrates Courts. However landlords now also need to have served a gas safety certificate on tenants before they move in as a condition of being able to use section 21. 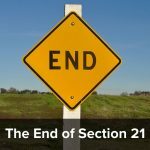 A recent case indicates that landlords may be prohibited from using section 21 altogether if this is not done. You can see the regulations here and the HSE has a useful website here. 4. The Management of Houses in Multiple Occupation (England) Regulations 2006. These regulations only apply to Housing in Multiple Occupation (HMOs) but they will apply to ALL HMOs, not just those that need licensing. There are probably far more HMO properties than most landlords realise. The regulations mainly cover various health and safety issues and require the property to be in good repair. The regulations are enforced by Local Authorities as described for item 2 above by way of penalty charge notice or prosecution in the Magistrates and Rent Repayment Orders can be applied for by Local Authorities or tenants. You can see the regulations here. 5. Energy Efficiency (Private Rented Property) (England and Wales) Regulations 2015. These regulations provide for all new rented properties from 1 April 2018 (with a few exceptions) to have a minimum energy performance rating of E or higher. From 1 April 2020, this will apply to ALL rented properties, however long the tenancy has been in existence. Enforcement will be by Local Authorities usually via Trading Standards or by Environmental Health Officers. The Energy Efficiency (Private Rented Property) (England and Wales) Regulations 2015 are a bit of a damp squib. A landlord can claim an exemption and continue to rent. The exemption can be claimed if the work, required to bring the insulation levels up to the standard, costs the landlord money. So, if the landlord can’t get a grant for the work they can claim an exemption. The regulation were made when the Green Deal was flavour of the month and so I suppose the law makers were expecting Green Deal to pay for the work and the tenants would pay back the loan through their electricity meter, thus costing the landlord nothing. Regarding part one, are you saying the landlord can write clauses into a contract in order to shirk their responsibilities, as long as they get a court order that says they can? A court would be MOST unlikely to grant an order if it appeared that the landlord just wanted to shirk his responsibilities. Such an order would only be made in exceptional circumstances. It is most certainly not a ‘done deal’. In fact, I have been working in residential landlord and tenant law for over 20 years and I have never heard of such an order being made. This all goes to prove Landlords cannot win statistics say one thing, in the real world it is quiet different. I have a house which I brought with existing tenants, had some problems, none of which needed immediate action, the tenants told me they were only staying for another year or so. I gave them a lower rent (well under market rent) to suit them. To cut a long story short they are still there, I have done all the maintenance I can do, the EPC is a D but the problems have come to such a level that major work has to be done. Tenant has threatened to go to the council. The work cannot be done with anybody living in the house, and because of chemicals being used it will take time before any one can live there..
Now I am in a dark place, I have served a Section 21. All of a sudden I have become a rouge Landlord. I have evicted them because they complained. So it is not always Landlords who are uncooperative or refusing to do the work it is sometimes circumstances beyond their control, or a load of laws that have been made when the people getting them passed have no idea about what they are doing. Sounds like your tenants have gone to the council already then? If the council have told you that you can’t evict them.